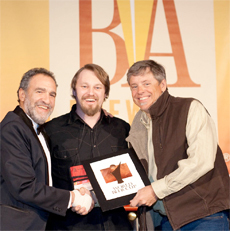 As 2010 comes to a close, the Brewers Association would like to share some of the highlights and accomplishments of the year. As you’ll see, this year took American craft brewers and the Brewers Association on quite a ride. We look forward to new successes, and stand ready to face new challenges in 2011. From all of the staff here at the Brewers Association, we wish you and yours a very happy holiday season. Cheers! 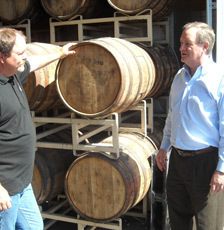 January 7, 2010 – The entire beer community was saddened by the loss of Jeff Becker, CEO of Beer Institute. Jeff died peacefully at his home following a brave battle with cancer. February 23, 2010 – The Brewers Association welcomed new faces and created new positions to help support its growing membership. 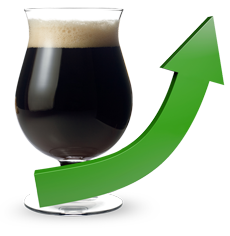 September 2, 2010 – In September of 2010, the Brewers Association made it easier for its members to access Association data and communicate with one another by introducing the Members-only Area of Brewersassociation.org. April 10, 2010 – Chicago hosted the biannual World Beer Cup competition which occurred in conjunction with the Craft Brewers Conference & Brew Expo America®. The 2010 World Beer Cup eclipsed the record of the Brewers Association’s own Great American Beer Festival to become the largest commercial competition ever. May 11, 2010 – House Bill 2348, sponsored by Representative Colby Schwartz and Senator Mike Schulz, officially legalized the home production of beer for personal use in Oklahoma. Home production of wine and cider for personal use was already legal in Oklahoma. The passage of HB 2348 left Alabama and Mississippi as the only remaining states where the homebrewing hobby is not yet legal. The U.S. government made homebrewing legal on a federal level in 1979. August, 16, 2010 – The 2010 Great American Beer Festival broke all previous ticket sales records by selling out five weeks in advance. June 14, 2010 – The Brewers Association released a policy statement on the proposed piece of legislation to protect state alcohol beverage laws from challenges under the dormant Commerce Clause, among other issues that would adversely hinder the strides small brewers have worked to create. November 16, 2010 – The Brewers Association announced that it formally petitioned the U.S. Tax and Trade Bureau to conduct rulemaking on alcoholic energy drinks. The petition sought to disallow synthetic and pure caffeine additions to alcohol beverages, but allowed incidental caffeine from ingredients that have a long tradition in brewing, such as coffee, chocolate and tea. The petition sought to clarify that coffee, chocolate, herb, spices, seeds and fruit are ingredients that should remain available to brewers to make beers for responsible enjoyment by beer drinkers. August 2, 2010 – Craft breweries continued to grow despite many challenges, and at that time provided an estimated 100,000 jobs and contribute significantly to the U.S. economy. Barrels sold by craft brewers for the first half of the year were estimated at 4.6 million, compared to 4.2 million barrels sold in the first half of 2009. April 14, 2010 – The Brewers Association released its annual lists reporting the top 50 brewing companies in the country, based on 2009 beer sales volume. 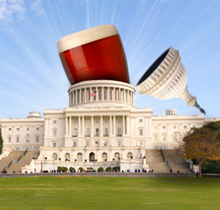 May 12, 2010 – As was the case with its House companion, the introduction of Senate Bill 3339 was the culmination of months of effort on the part of individual Brewers Association (BA) member breweries and BA staff to ensure American small brewers are given the best chance to remain strong and competitive. The BA strongly believes that reducing the excise tax burden will help strengthen the smallest brewers and support their efforts to maintain and generate jobs in today’s challenging economy. 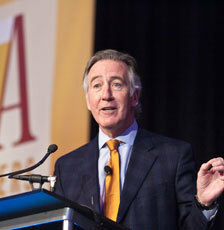 September 30, 2010 – Congressman Richard Neal (D-MA) graciously gave of his time to participate in the September 30th Power Hour, providing an update on the status of H.R. 4278, legislation he introduced that would provide small brewers a graduated federal excise tax rate. Before being forced to end the call, sooner than planned to catch a plane back to his home district, the Congressman commended small brewers for their efforts in gaining 108 co-sponsors for H.R.4278. April 29, 2010 – Michigan’s Rene Greff of Arbor Brewing Co. (Ann Arbor) and The Corner Brewery (Ypsilanti) was the invited speaker at the April 21st meeting of the House Small Brewers Caucus in Washington, DC. Rene spoke about the many and ongoing challenges faced by small brewers in opening and operating their businesses, and how the excise tax reduction contained in H.R. 4278 would be a boost to small brewery businesses across the nation. Craft brewers welcomed lawmakers to their businesses to display their growth and success in a struggling economy. More and more legislatures looked to craft brewers as a bright spot in the dim economy. Idaho Senator visits local craft brewer. Representative Thompson Visits Eel River Brewing Co.
Power Hour is an on-line, interactive teleconference series. Invited guests present on selected topics of interest to the brewing community, followed by a question and answer session. Power Hours are presented on a general monthly to bi-monthly schedule, but frequency may vary. To make this valuable information more accessible to our members, Power Hour Archives of the presentations are available dating back to 2005, when the program was introduced.